The outlook for desert wildlands is dismal under a Trump Administration, and we will have to be even more vigilant and vocal to stop Washington from undermining the legal and administrative pillars that protect our public lands and wildlife and to keep bulldozers off of intact habitat. I have been critical of some of the Obama Administration’s choices and policies regarding wildlife and wildlands, but there was always give and take within the bounds of existing laws and a relatively strong role for science in how policies were formulated; that probably will not be the case under Trump. Trump and the Republican-controlled Congress probably will slow or reverse progress we have made greenhouse gas emissions, and they will severely weaken or eliminate the legal and bureaucratic institutions that protect our wildlands and wildlife. Science will be ignored in policy formulation and decision making. Budgets for the folks at the Department of Interior and the Environmental Protection Agency – the Federal arms that manage public lands and keep our air and water clean – will be slashed further. Simply the way Trump talks about issues will endanger our national discourse on the environment, being dismissive of significant environmental challenges and deploying outright falsehoods to avoid having to actually consider policy solutions. For example, during a trip to California Trump ridiculed efforts to balance water usage to protect endangered fish and the health of our waterways. He even denied that California faced a drought that necessitated smarter water policies to begin with, a page out of George Orwell’s 1984. Trump’s practice of repeating lies as fact, and deriding scientific conclusions as conspiracies will likely continue, and they’ll undermine our efforts to find a more efficient and sustainable way of life. Trump’s cabinet will be no friend of protecting the desert lands and wildlife that we enjoy. Although Trump told Field & Stream that “[w]e have to be great stewards of this land,” he is reportedly considering picks for Secretary of Interior that clearly signal distaste for conservation and favor unhindered, fast-track industrial development. In addition to choosing a Secretary of Interior, Trump’s Administration will appoint 103 other senior executives to manage the day-to-day implementation of his and Congress’ vision for our public lands. Those appointees will have influence over the many components of Interior, including the Bureau of Land Management, National Park Service, Fish and Wildlife Service, Bureau of Indian Affairs, Office of Surface Mining and Reclamation Enforcement, and the Bureau of Ocean Energy Management. These appointments have to follow existing laws like the Endangered Species Act (if it survives the Republican-controlled Congress), and the Federal Land Policy and Management Act. But they can have significant latitude in how these laws are interpreted and implemented. They can propose rules and regulations that undo conservation measures, and instead favor streamlined industrial exploitation of the land. They can slow-roll or deny protections to endangered species. Out west, our public lands are managed according to land use plans that are reviewed and revised periodically, and Trump’s appointees can cast significant influence over the direction of these plans. Land use plans determine what areas are protected for recreation and wildlife conservation, and which are managed for heavier industrial development. You can expect a similar degradation in how the Environmental Protection Agency is run. Trump has tapped Myron Ebell to lead the EPA. Mr. Ebell denies that climate change is a problem, despite overwhelming scientific consensus that indeed our planet is warming and leading to all sorts of severe weather patterns and disruptive changes to wildlife habitat. Mr. Ebell – a man who disregards science – will be the lead administrator overseeing how we regulate pollution. The common assumption is that renewable energy development on public lands will suffer under President Trump, but I would argue the opposite. Although Trump has derided some utility-scale wind energy development as aesthetically displeasing, his leadership appointments are likely to favor an “all of the above” energy platform that doesn’t turn away any corporate interests willing to play the lobbying game in Washington. The key hurdle to utility-scale renewable energy projects on public lands will remain financing, and that is largely driven by the renewable portfolio standards adopted by the states and tax credits set by Congress. Renewable portfolio standards are (appropriately) on an upward march, and even a Republican Congress has extended tax credits for renewable energy development. So it’s not unrealistic to expect that utility-scale renewable energy projects will continue apace. 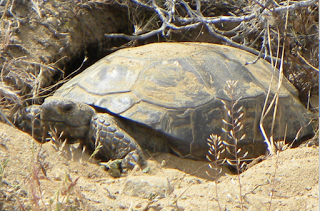 Although not common in the Mojave and Sonoran deserts, fossil fuel drilling does occur in the Great Basin and Chihuahan deserts. The Trump Administration probably will lift regulations on natural gas and oil drilling. 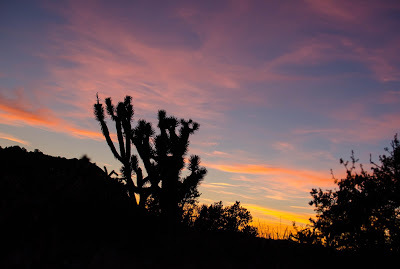 More broadly, fossil fuel use will pose an overarching threat to all of our desert wildlands since burning these fuels contributes to extreme weather patterns that upend the ecological balances on landscapes we cherish. Trump’s Administration will do some damage with the way it manages our public lands, but what Congress does to our public lands and wildlife probably will have deeper and more lasting impacts. The Republican-controlled Congress is likely to take advantage of having Trump in the White House and pass legislation it could not get through the White House under Obama. Looking at the past few years of attempted Congressional efforts to undermine conservation as a guide, you can expect Congress to try to restrict or toss out the Antiquities Act. Presidents have used the Antiquities Act to protect some of our most cherished landscapes, including the Grand Canyon and Joshua Tree National Park. Congress is also determined to dispose of public lands by handing them over to the states, and there are bills in Congress right now that would do just that. 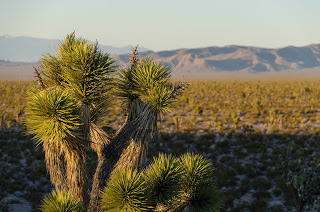 One bill would transfer millions of acres of desert wildlands to the state of Nevada, which would inevitably sell the land to private interests or open them up to more industrial development. Another bill would let states decide what to do with energy resources on public lands, which would turn our open landscapes into an industrial free-for-all. The Endangered Species Act is also under the gun, and Congress has already repeated tried to roll back protections for animals that need them, such as wolves and sage grouse. Any animal that gets in the way of an energy project or housing development is likely to be targeted by lobbyists in Washington seeking to smooth the way for corporate interests. Congress can continue to attack protections for individual species, or may attempt to rewrite the Endangered Species Act altogether in a way that weakens the law. Other wildlife protection laws like the Migratory Bird Treaty Act (MBTA) and the Bald and Golden Eagle Protection Act (BGEPA) may also come under attack in Congress. A Republican Congressperson from South Carolina has tried repeatedly to pass legislation that would bar the Department of Justice from enforcing the Migratory Bird Treaty Act, giving companies a blank check to build risky and destructive energy projects in key bird habitat. Congress’ role setting the Federal budget will also have sweeping impacts. It has been a fight just to appropriately fund the National Park Service, with infrastructure maintenance being deferred at some of our most popular parks. Will we see relief under a Congress that falsely tells voters that national parks and monuments represent “land grabs?” You can also expect Congress to cut funds to the Environmental Protection Agency and its programs that enforce clean air and water rules. We will have to be more vigilant than ever and speak up for our desert wildlands whenever the White House and Congress consider weakening these pillars of conservation. We have to vote for officials – from the local level all the way to our Federal representatives – that understand the importance of keeping public lands in public hands, and protecting our natural open spaces for the current and future generations. When we’re not at the ballot box, we should be voting with our wallets. Making energy efficient homes and businesses a priority so that we are not dependent on dirty and destructive power plants. Buying the goods we need from companies that respect our wildlands, or just not purchasing at all to lead a less materialistic way of life. Last but not least – vote with your hiking boots. We should get outside and enjoy our wildlands – we will need the strength and inspiration for the fight we have ahead of us.